In 1994 jungle became the first commercially successful outgrowth and major new development of the dance scene as it merged with hip-hop and Jamaican ragga to create something new, that would rapidly morph into drum’n’bass ( indeed, many used the terms interchangeably). Its formation actually merged dance and reggae, taking the idea of techno and breakbeats, then speeding them up to between 160 to 170 beats per minute (as opposed to the 140 bpm of techno), then using a half speed bassline underneath, often taken from reggae. It made for a particularly dense mixture, also utilising samples and carefully constructed breakbeats, and becoming a black urban dance form, with people like LTJ Bukem, Roni Size and Goldie as its biggest stars. For a while it looked to be the next big thing, or possibly a stepping stone to even more adventurous ideas. Jungle really emerged from the London clubs, percussive and experimental, with DJs and producers known as junglists making the music. It began as a localised underground phenomenon with its off-kilter, skittering breaks and high speeds that offered exhausting music for dancing. It was, quite specifically, music made on computers, drum machines and from samples, since reproducing the breaks was beyond human drummers. But that was its beauty. There was no steady flow to it; instead it quite deliberately went the other way. 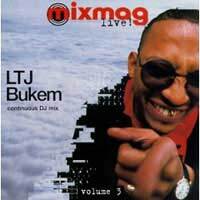 1994 was the year of jungle, with Bukem putting out Mixmag Live! Vol. 3, which showcased his DJ skills and highlighted the jungle breakbeat scene. Along with Fabio, another jungle pioneer, he was going into new musical areas, where the creation of a single breakbeat could take up to an entire day of meticulous work. Their appeal was to the dance crowds, but Goldie took the music beyond that, into the mainstream. He was the one who essentially fused jungle and rap on Timeless, an album that showed him to be the equal of any American rapper, and with which jungle really (and literally) found its voice. Bukem remained one of the mainstays of the jungle scene until about 1996, when his work took in other elements, moving away from the freneticism of jungle. Quite why jungle’s name changed is a matter of debate – it might even have been a case of political correctness. Certainly it wasn’t the fact that the music changed a great deal, although refinements did enter. The style did create one big star, producer Roni Size. He came from the fertile Bristol scene, which also gave the world trip-hop, and received great acclaim (and the Mercury Prize), for his album New Forms, which found him stretching the genre with ideas taken from jazz as well as plenty of his own imagination. However, the drum’n’bass well established in the clubs, very few arrived to continue testing it as a form for listening rather than moving. It’s still very much alive and well (and the early ideas of jungle have even seen a revival), but it has become part of the general vocabulary of electronic dance music, rather than an outgrowth that’s fully blossomed.